Digital signatures are of great importance for securing the Internet and, more generally, IT infrastructures. For example, they guarantee the authenticity of software updates and of SSL connections. In the late 1970s Ralph Merkle proposed a signature scheme which was at this time competing with the RSA scheme. This scheme had several disadvantages. This is why RSA is mostly used today. However, in the presence of quantum computers, the Merkle scheme is a very interesting alternative. In recent years there has been some research to make this scheme more practical. In this lecture I describe the results of this research. I will present the XMSS scheme proposed by Andreas Hülsing that overcomes most of the problems of the Merkle scheme. The lecture will start by describing the basic idea of the Merkle scheme. The lecture will then address the required optimizations: key generation, one time signature, path building, etc. the lecture will also discuss security proofs. It will be shown in the lecture that XMSS is the most interesting post quantum signature alternative both from the point of few of security and efficiency. Bio: Professor, Department of Computer Science and CASED, Technische Universität Darmstadt, Germany. 2008 - 2011 Director Center of Advanced Security Research Darmstadt CASED. The problem of constructing fully homomorphic encryption (FHE) is one of the oldest and most fascinating in cryptography. An FHE scheme allows one to perform arbitrary computations f on encrypted data Enc(x), so as to obtain the encryption Enc( f(x) ), using only public information and without learning anything about the value of x. This enables outsourcing computations on private data to a third party, while maintaining the data's privacy (for example "oblivious web search") - a core task for secure cloud computing. The problem has been presented back in 1978, but the first candidate was only introduced in 2009 in Gentry's breakthrough work. Since then, there have been rapid and exciting developments. In this course I will define fully homomorphic encryption, survey the literature, and present state of the art constructions. Bio: I am a Simons Postdoctoral Fellow at the Computer Science Department of Stanford University, hosted by Prof. Dan Boneh. Starting October, I will join the Weizmann Institute of Science as a faculty member at the Department of Computer Science and Applied Mathematics. My research interests are foundations of computer science. I currently work mostly in cryptography. I completed my Ph.D. at the Department of Computer Science and Applied Mathematics of the Weizmann Institute of Science in 2011, advised by Prof. Shafi Goldwasser. I received my M.Sc. from the Faculty of Engineering of Tel-Aviv University in 2002. My advisor was Prof. Boaz Patt-Shamir. Prior to that, in 2001, I received a joint B.Sc. from the Faculty of Engineering and the School of Computer Science of Tel-Aviv University. There are many very efficient multivariate signature systems like Rainbow, but multivariate encryption schemes like IPHFE are far less efficient. The common defect in many of the broken encryption schemes comes from the fact that certain quadratic forms associated with their central maps have low rank, which makes them vulnerable to the MinRank attack. In this lecture, we will present a new simple and efficient multivariate pubic key encryption scheme based on matrix multiplication, which does not have such a low rank property. The new scheme is called Simple Matrix Scheme or ABC in short. This construction was presented in PQC 2013. We will also present some of the new improvements on this scheme and a careful security analysis. Bio: Professor of Mathematical Sciences, University of Cincinnati. In this lecture, I will present an short introduction to provable security (or reductionist security) in cryptography. This talk will focus in practice-oriented provable security, its concepts, methods, and goals. I will start by discussing what provable security is and is not, the idea and importance of reductions, identifying assumptions, capturing adversarial resources and leakage of information, and obtaining exact security, as well as the pros and cons of the underling security models, including the random oracle model. In order to illustrate these concepts, I will motivate and discuss the security models for signatures and encryption, their proofs (including games) and guarantees, and the practical importance of the tightness in reductions. 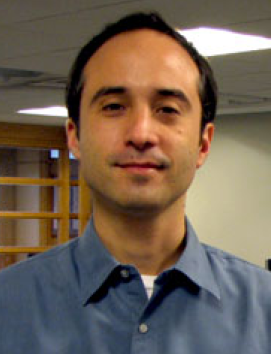 Bio: Alejandro Hevia received his Bachelor and Engineering degree in Computer Science from the University of Chile in 1995 and 1998 respectively, and his Ph.D. in Computer Science from University of California, San Diego (UCSD) in 2006. Since then, he is at the School of Engineering of the University of Chile where he is now Assistant Professor at the Department of Computer Science. 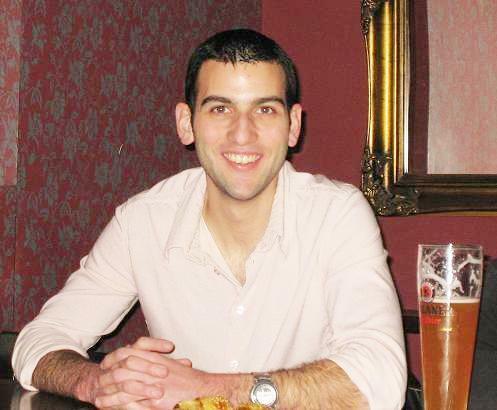 His research interests include cryptography and computer security, in particular, cryptographic protocols for distributed systems (voting and anonymity), and malware analysis and prevention. He has collaborated with important research labs, including IBM T.J. Watson Research Center, NTT Docomo USA, and INRIA Sophia-Antipolis. He has also served on several program committees for conferences in both cryptography and applied security, and co-organized the Second International Conference on Cryptology and Information Security in Latin America (Latincrypt 2012), among others. Prof. Hevia is a recipient of, among others, the Marcos Orrego Puelma Award (1999), the president's MIDEPLAN Scholarship (1999), and the R.B. Wooley Jr. Fellowship from the Irwin & Joan Jacobs School of Engineering at UCSD (2003-3004). 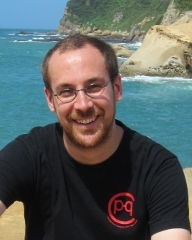 Prof. Hevia is director of the Chilean Computer Emergency Response Team (CLCERT) associated to the the Applied Cryptography and Security Laboratory (CASLAB) of the University of Chile. 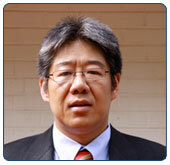 He is currently also the CLEI representative for theIFIP TC11 Group. 2012 and the implementation of code-based cryptography (McEliece/Niederreiter encryption and CFS signatures). Bio: I am an assistant professor (Universitair Docent) for computer security in the Digital Security Group at Radboud University Nijmegen. Until November 2012 I was a postdoc in the Research Center for Information Technology Innovation and the Institute of Information Science of Academia Sinica. Before that, I was postdoc in the Department of Electrical Engineering of National Taiwan University within the Intel-NTU Connected Context Computing Center. Before that, I was a postdoc in the Institute of Information Science at Academia Sinica. Before that, I was a Ph.D. student in the Department of Mathematics and Computer Science at Eindhoven University of Technology.